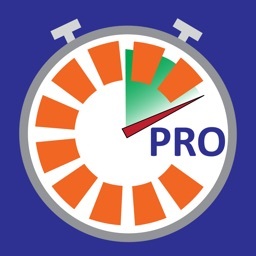 Racing Lap Timer HD is an iPad & iPhone Stopwatch application for lap time measurement. 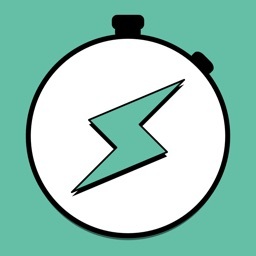 Whether you're on the road or racing track, riding your bike or running a parcour, Laptimer HD records your: Current Lap, Average Lap, Fastest Lap, Slowest Lap and Total Time. * Works on iPad and iPhone! 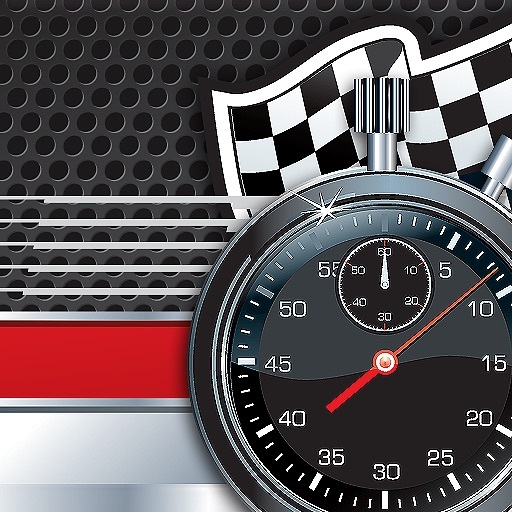 * Displays Current Lap, Average Lap, Fastest & Slowest Lap and Total time. 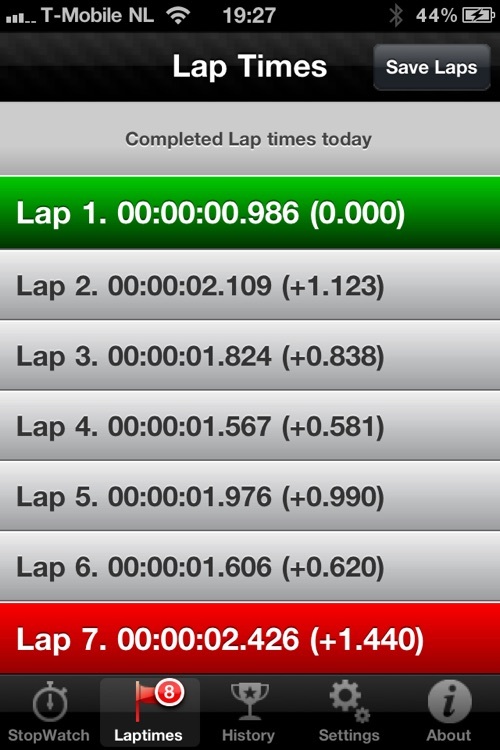 Laptimer HD saves your laps within sessions on the Laptimes screen everytime you click “LAP”. 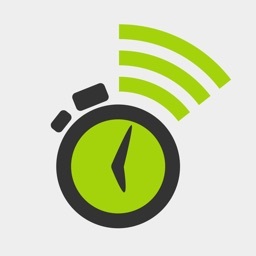 To reach this screen, tap on the Laptimes icon in the bottom toolbar. On this screen you can see all your completed laps, fastest and slowest laps and time difference. 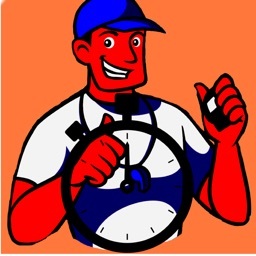 You can “Save Laps” to the “History” screen by click the upper-right button “Save Laps”, make sure you clicked the “STOP” button on the “Timer” screen to make the “Save Laps” button visible. 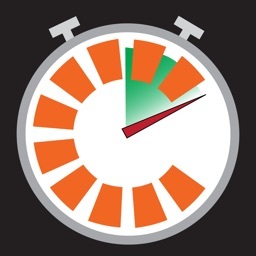 Lap times can be optionally sent as email (assuming the phone has access to the carrier's network). On the “History” screen select your Lap Session and click the upper-right button to “Email” the laps. 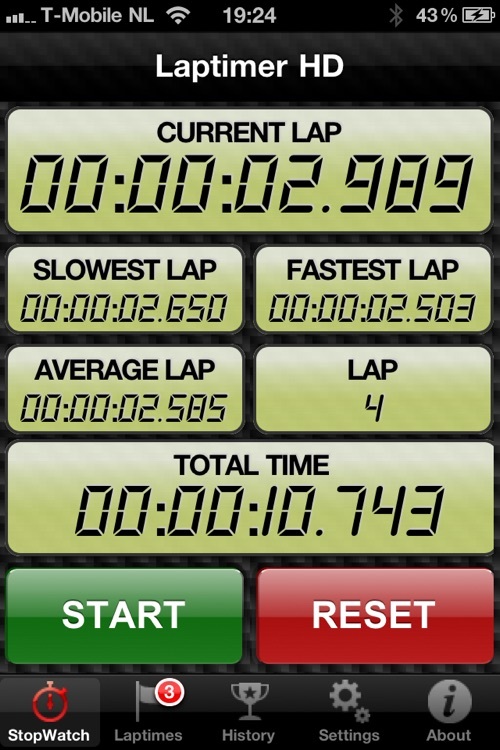 In the next version of LapTimer HD you can send your LapTimes to Facebook or as Tweets to Twitter.